Don't forget towels and a bathmat. 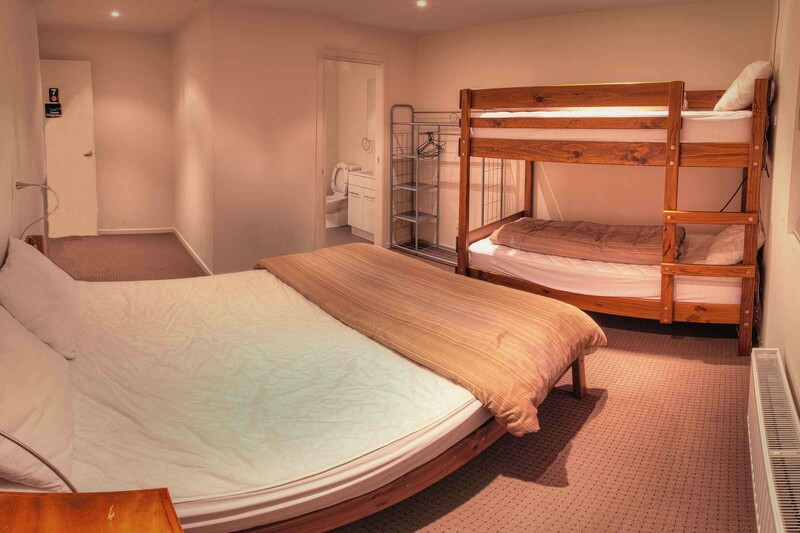 Linen (sheets, pillow case, towel, bathmat) can be hired - it is an option when booking. Food & Drink, personal toiletries. Fully equipped kitchen and dining area seating 30. Separate from lounge. The kitchen includes microwave and conventional ovens, barbeque hotplate, gas cooktops, fridge, pantry, small freezer, coffee maker, sandwich maker, rice cooker, kettles, cutlery & crockery, glasses, mixing bowls, T-towels etc. 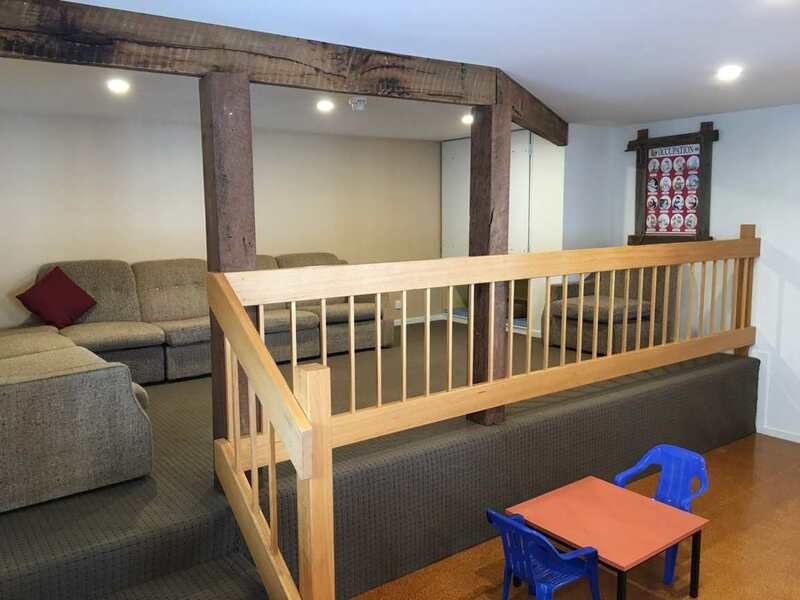 The "Kids Club" playroom with TV/DVD - near the dining area & away from the lounge. 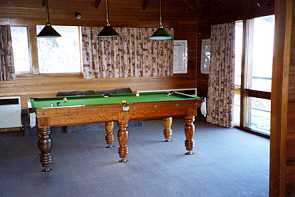 And a pool table. The steps at Transport Stop #8 is the closest point to unload, about 120m to lodge across the open area behind the first row of lodges. We are the second last lodge on the south side. 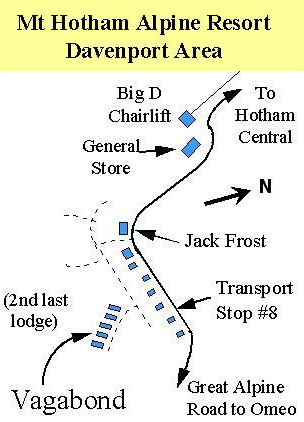 Use the luggage sled to move yourself in, but a better option is to use Snowtow 0408 516 162 (unload at Jack Frost). 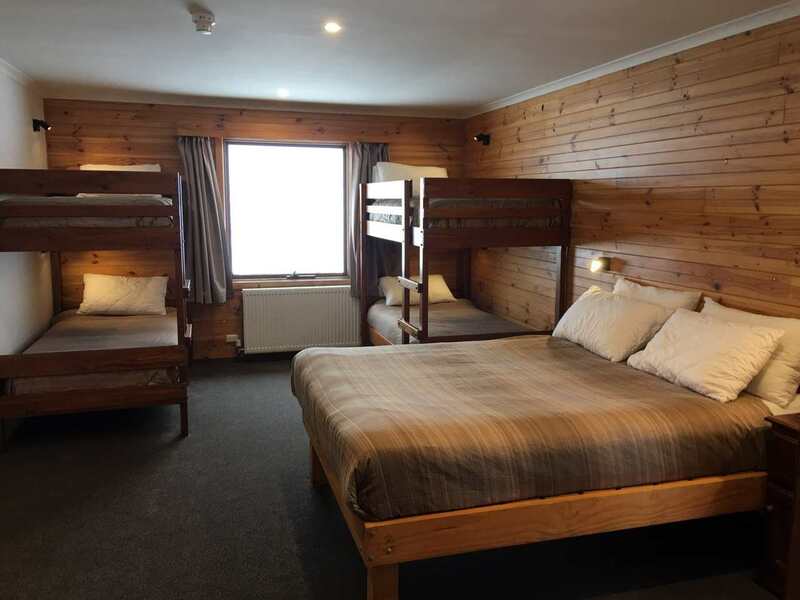 You can prepay at a discount when making your booking. 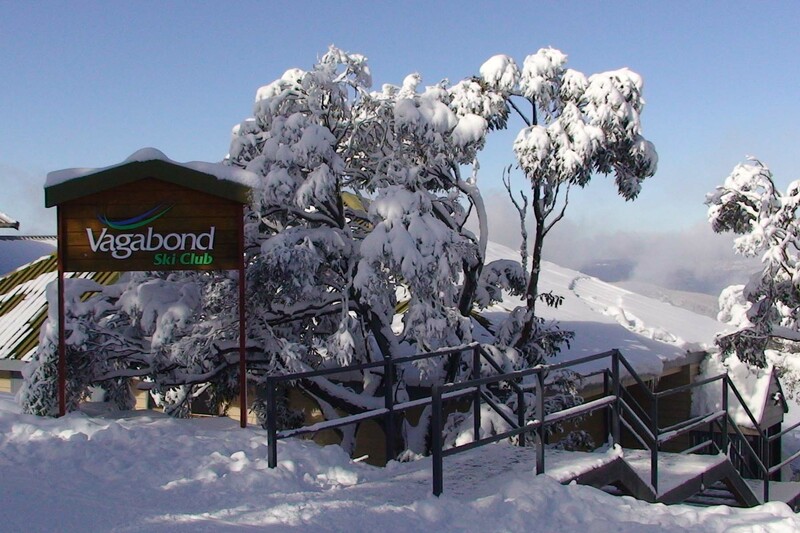 Hotham Resort Info, lift and lesson packages. 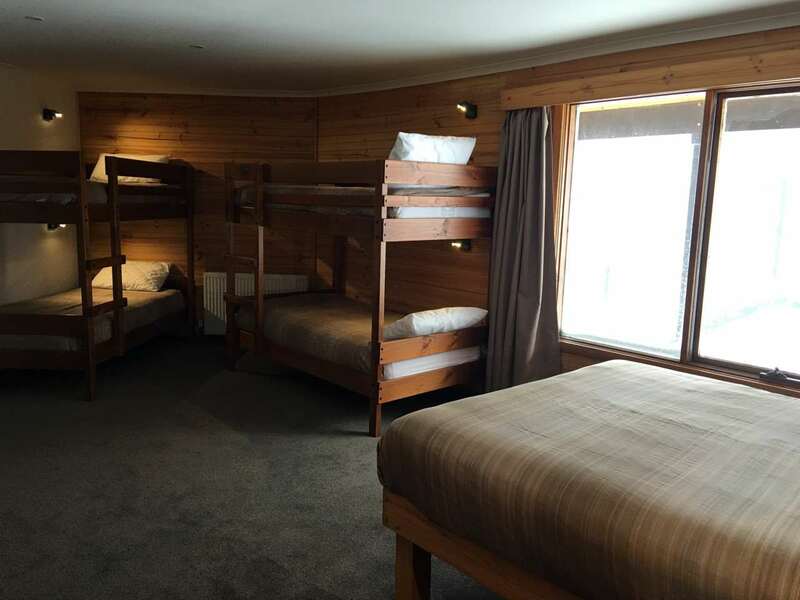 Snow Monkey at Jack Frost offer Vagabond guests 20% discount on ski and board hire. 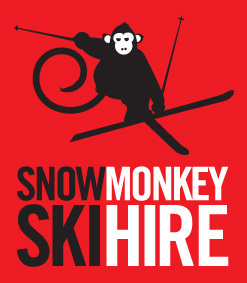 Check rates at snowmonkey.com.au . Use this Booking Form and contact them direct.